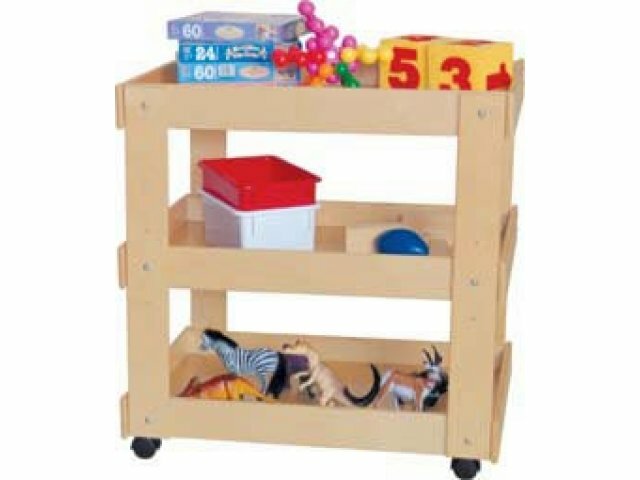 Transport classroom materials, art supplies, small gym equipment and more on Wood Designs Art Carts. These convenient carts conserve both time and energy. Their three shelves feature a deep safety lip which prevents materials from sliding off while in transit. 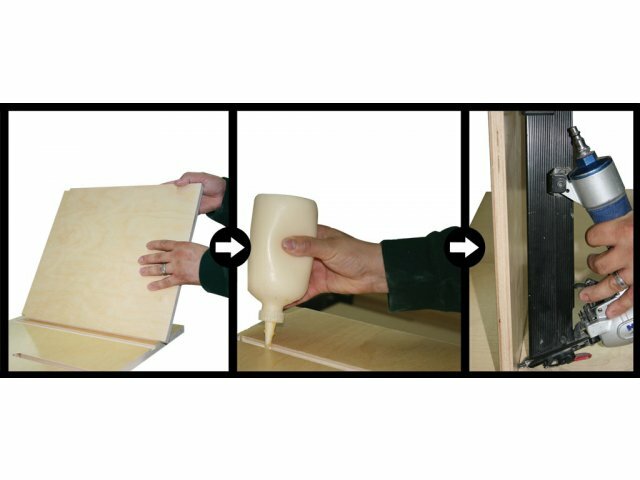 The adjustable center shelf can be modified to store oversized items such as containers or large toys. These utility carts feature easy-swivel, heavy-duty casters which allow mobility with minimal effort. 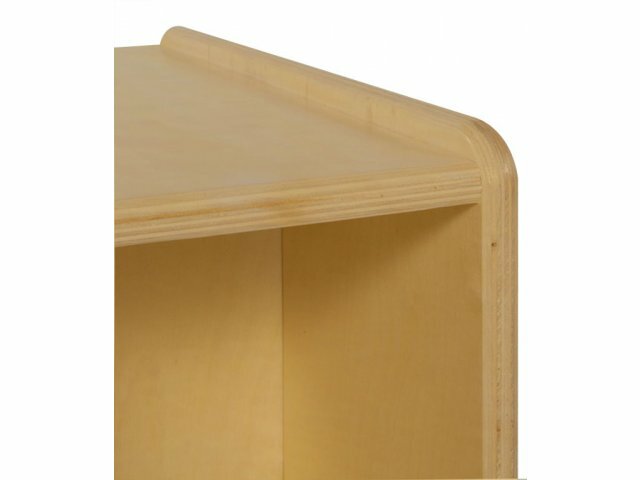 Their corners and edges are full rounded and sanded for absolute maximum safety. 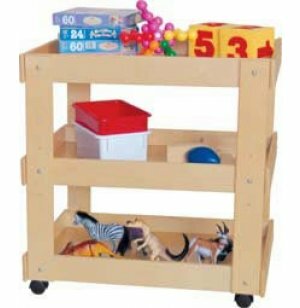 Mortise, glue and steel pin construction ensures that these versatile carts will serve you for many years, through many generations of students. Non Slip: A safety lip keeps materials securely in place while carts are on the move. 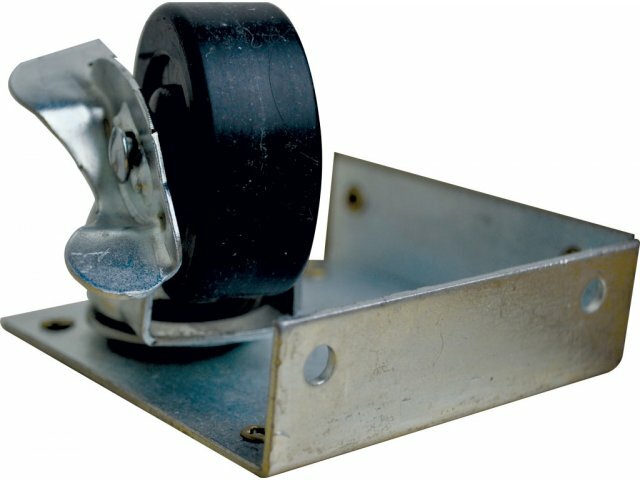 Safety First: Fully–rounded corners and edges prevent snags and scratches. Sturdy Build: Built out of 100% birch plywood (including backs and shelves) by experienced craftsmen with mortise glue and steel pin construction. Attractive Finish: Greenguard Tuff–Gloss™ water–based paint finish provides lasting beauty. Healthy: These carts contain no formaldehyde, lead, phthalates or VOCs. Meets Standards: CARB II and CHPS compliant. CPSIA conformity.